Ron was born in Katoomba in 1950 to artistic parents who moved from Holland to Sydney. He was encouraged to draw, sketch and pursue the wonders of his childhood amid the majestic vistas of the famous Blue Mountains. At the age of 18, Ron accepted a three-year working scholarship with the Sydney Technical College. For the next twelve years he worked with a prominent commercial art firm in Sydney. At the same time he also studied with the Drummoyne Art Society, which was then guided by the most noted and heralded of Australian impressionists, Joshua Smith. 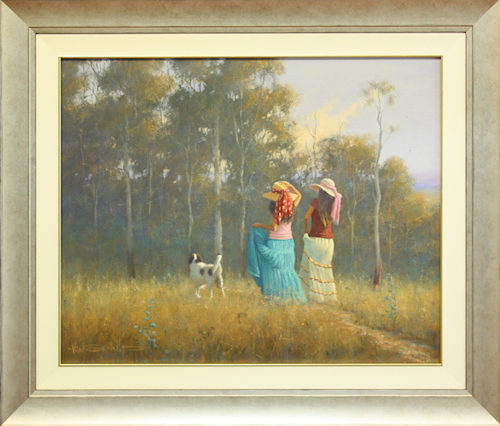 Ron undertook further studies with Robert Hagan and Rex Newell, two leading Australian artists. Eventually Ron gave up commercial art to concentrate on fine art, with his sweeping landscapes frequently featuring children as a focal point, reminding us of our lost innocence. His sensitive figurative work continues to be deeply rooted in the romantic, Impressionist tradition. 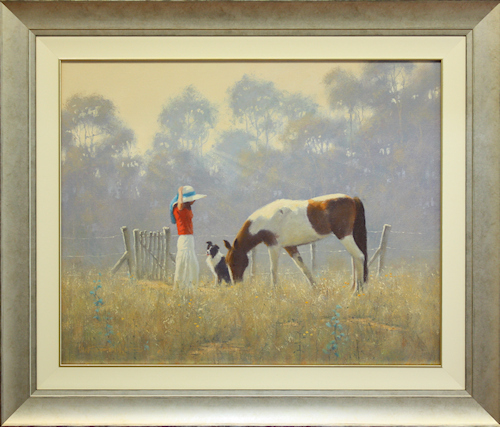 His clever use of light and the originality of his concepts make Ron’s paintings very much in demand. Ron has had numerous solo exhibitions in Australia, as well as selected group exhibitions in Hong Kong, Tokyo, London and the United States.